Most of us started diving in our 20s, and we were mesmerised by the sea. We were voracious students, taking in all the sites, and we could hardly wait for the next time we would go diving. And once we were there again, we just wanted to get as many dives in as humanly possible. We were looking for challenges, and we were up to even more complex dives, in the hope of encounters with larger fish. Since then, 10, 20, 30 years have passed, and most of us now have families. Spouses, partners, children. And this has changed the dynamics of the good old diving blowouts, which we began to seek out less and less frequently. Either because our partners were not divers, or because now we had families, and smaller children. 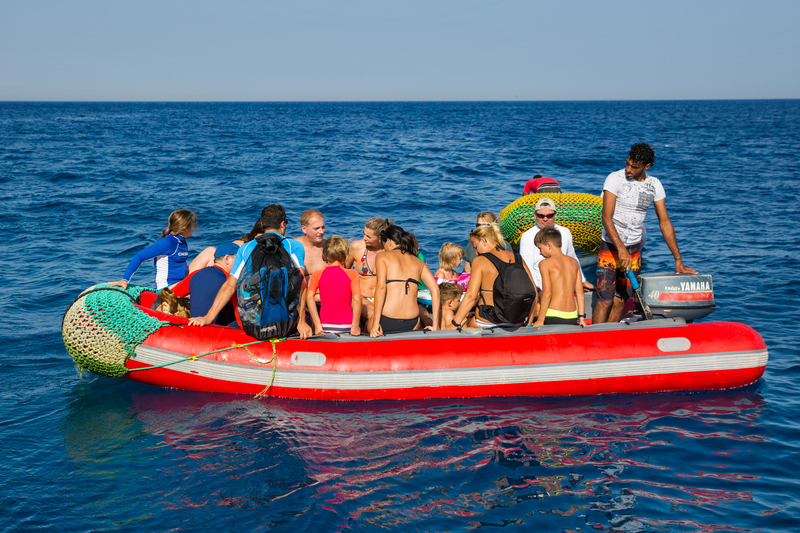 So, we have come up with a different concept – a diving liveaboard tour for families. If Mom does not dive, Dad can still dive and enjoy his time under the water, while Mom can enjoy herself along with the children. The twist is that the boat does not sail on after each dive, as she usually does on a regular diving tour, but stays put for a couple of days at various sites. This way there is hardly any sailing time during the week-long holiday. No need to worry about the children bouncing and falling all over the place because of the waves because well, there will be hardly any. And another positive thing – no seasickness. The boat is moored next to an island or in a protected bay, and the fun can begin. Jumping into the water, snorkelling, racing to the shore with zodiacs. The uninhabited islands boast beautiful white sandy beaches with plenty of room to run around in nature at its most pristine. No crowded beaches, just serene, natural surroundings, and of course, the turquoise sea to play in. Experience shows that this form of contact and time spent together is very beneficial to parent-child relationships. It is useful, meaningful, enjoyable, healthy, and not boring in the least. It is quite a rush for parents to watch their children become one with nature. And while all this bonding with nature is going on, Dad (or Mom) can go diving, even up to 3-4 times a day. Since the boat will be staying at one place for a day or two, the dive sites may not be as varied as on a regular diving trip but we are talking about the Red Sea here, and everybody who is familiar with Gubal Island and the Strait of Gubal in Egypt, for example, knows that it is entirely possible to do even 5-6 different dives at the same site, in the interior and exterior areas. But it is conceivable that after a couple of dives, Dad would also like to join the fun, and go snorkelling with the children, talking to them about the corals and fish, in their natural habitat – the sea. We have been organising these summer trips for years now, and the demand keeps increasing, since our family lives and relationships are also changing. 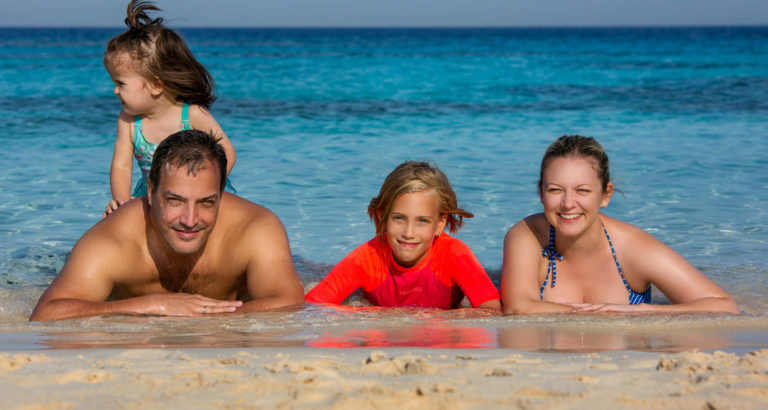 We have reached a point in our lives when we do not want to go diving on our own anymore, we would like our families to become part of this pastime of ours. It feels good to watch our partners being active and not feeling bored for once, and that the little ones are also enjoying themselves so much, it takes a prayer or two to get them out of the water at the end of the day. 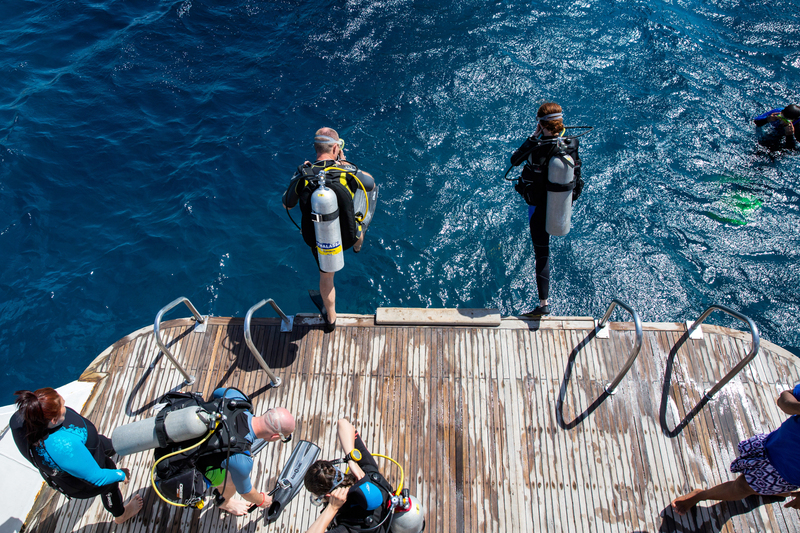 Travel insurance for all guests, plus diving insurance for divers are mandatory for being able to participate in the tours. You can choose between comfortable, air-conditioned twin- and queen-bed cabins equipped with private bathrooms. The bathrooms have warm-water showers, toilets, and a sink. We provide bed linens and towels for cabin use for each guest. 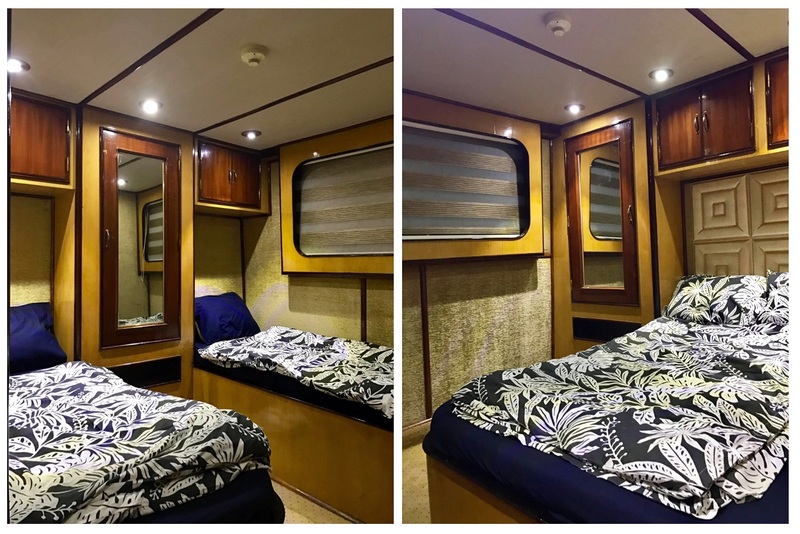 The boat boasts 2 sun decks and a covered deck. 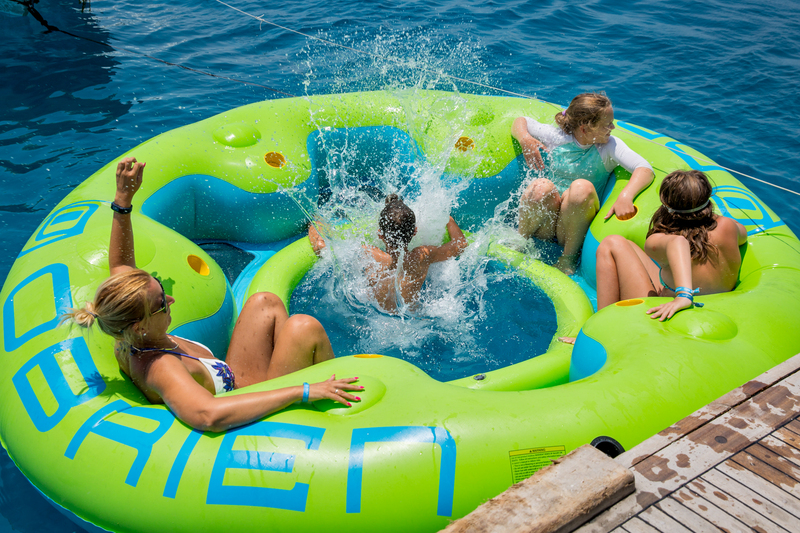 The dive deck is at the back of the boat along with a spacious platform from where you can enter the water. Meal service is in the dining room. The European salon is perfect for playing and for watching films. And shisha is available in the Arabian café onboard. For booking, payment, and cancellation terms, write to us at info@cassiopeiasafari.com .